James is a Main Board Director responsible for an impressive portfolio of many award-winning projects across London and the South East. 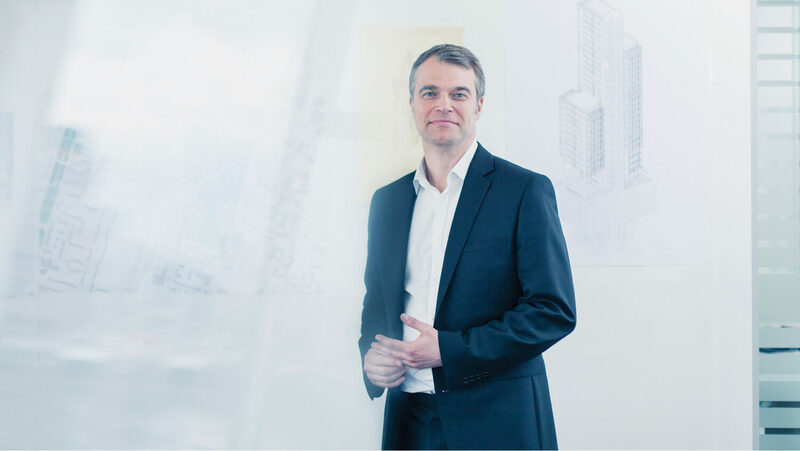 James has over 20 years’ of specialist expertise in residential design and urban regeneration however he continues to work on a broad portfolio of various scales and typologies including workplace, retail and mixed-use developments. At EPR James, was responsible for the early phases of one of Europe’s largest sustainable regeneration developments, Greenwich Millennium Village where his commitment to sustainability is intrinsic to his design approach. James is currently overseeing the design and delivery for Merano Residences, Riverlight, Peruvian Wharf, Abell + Cleland, Lee Terrace, Chapter Street and Western Gateway. Previous projects include The Heart (Walton-on-Thames), Grosvenor Waterside and Great Minster House. Driven by his passion for architecture and design; whether working on a complex mixed-use project or a single house, he continually searches for clear, elegant and sustainable solutions, which are informed by and enhance their context. His commitments outside the office include judging for the WAN Awards.